Wendy's at Liat Towers flooded again today. Sorry, not "flooded". I mean ponding. 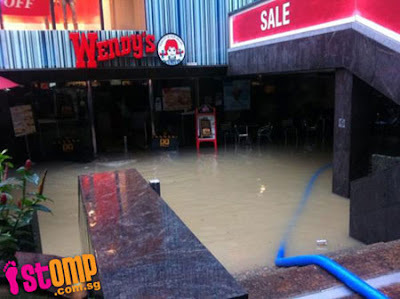 Wendy's at Liat Towers flooded in June 2010. Did someone refuse Joanne Peh water again?